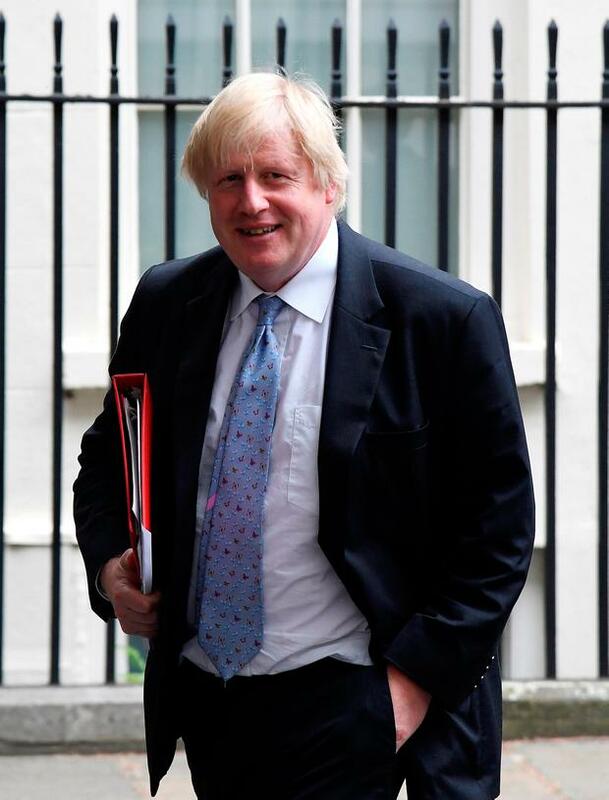 With his shambling gait, unruly mop of blond hair and unrivalled capacity for a striking turn of phrase, Boris Johnson has for years for been one of the most distinctive figures on the Westminster political scene. For his supporters, he is a rare politician of genuine charisma with a true popular touch in a world largely populated by the grey and the colourless. For critics, he is a man of limitless ambition who would sell his principles to further his ultimate goal of reaching 10 Downing Street. His intervention in the 2016 EU referendum campaign was crucial and typically controversial. When, after weeks of prevarication, he finally came out for Leave, it galvanised the Brexiteers, giving them the figurehead they longed for. It also emerged he had written two versions of his weekly column for The Daily Telegraph, one arguing for Remain and the other for Leave, prompting critics to claim his decision was driven by personal calculation. During the ensuing campaign, he toured the country in a battlebus emblazoned with the slogan We Send The EU £350 million A Week Let's Fund The NHS Instead, a claim denounced as a "lie" by Remainers. When the final vote came and it became clear that, against the odds, that Leave had won, Mr Johnson appeared stunned, almost chastened, by what had happened. However, the speed of events meant that there was little time for reflection. The resignation of his old sparring partner David Cameron meant there was a Tory leadership contest, potentially opening up the way to No 10. Instead he saw the prize dashed from his hand by the intervention of his partner in Vote Leave, Michael Gove, who knifed his erstwhile ally, claiming he was not up to the task of leading the country while launching his own leadership bid. But in another twist, Mr Johnson was propelled back to centre stage when the ultimate victor Theresa May picked him to be her foreign secretary, while Mr Gove found himself out in the cold. Much of the rest of the world was stunned, at his first press conference alongside then US secretary of state John Kerry, Mr Johnson was twice called a liar to his face by American journalists. Others, however, saw it as a canny move by a Prime Minister who supported Remain in the referendum and needed to bind the Brexiteers to her. It was however inevitably always going to be a bumpy ride, with Mr Johnson increasingly showing his frustration with the progress of the Brexit negotiations amid public clashes with Remainers like Chancellor Philip Hammond. The final straw came with the Chequers summit and the subsequent resignation of David Davis as Brexit secretary. For a man who had repeatedly been reported to be on the verge of resignation himself, it appears that he may have concluded that he would lose all credibility with the Brexiteers if he failed to walk as well. In the past, Mr Johnson used to make light of his ambitions, suggesting his chances of becoming prime minister were "about as good as the chances of finding Elvis on Mars, or my being reincarnated as an olive". The coming days and weeks may well prove the ultimate test of that assessment.